Local businesses are the building blocks of the local economy, and by uniting together they can form a solid infrastructure for the society. Based on this philosophy, the Sidebuy platform was created to provide an opportunity for local retailers and boutiques to connect and collaborate with local influencers. The focus on the local nature of these businesses is due to their significant socioeconomic impact in our community. In the past 5 years, Canadians were more willing to buy local products, even at a premium price. It is worth mentioning that such trend is expected to grow in the future. 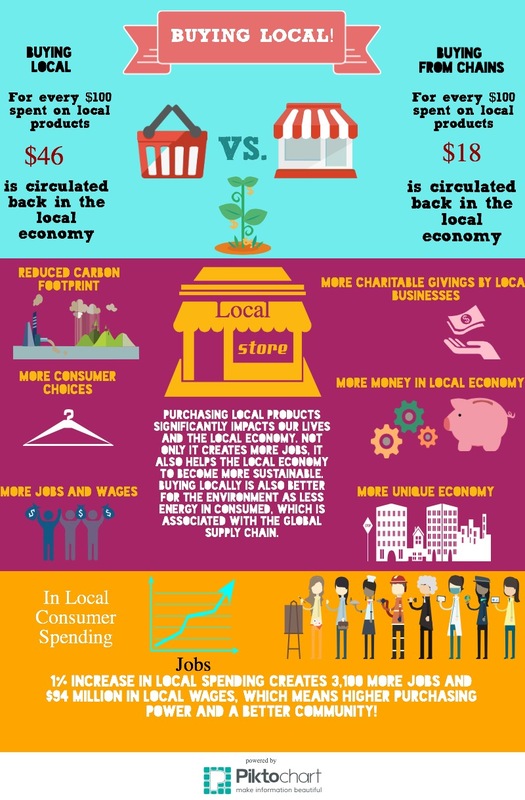 This is due to the countless benefits of buying locally for both businesses and consumers. The main advantage of purchasing local products is the retainment of money in the community. In BC, for every $100 spent on local product and services, $48 is circulated back in the community while this number drops to $18 for non-local spendings. More money in the community means more budget for developmental programs, and thus higher standards of living for the people. In addition, local businesses are more likely to raise funds for charities and give back compared to big international businesses. Moreover, a society comprised of a multitude of small business has a healthier and more sustainable economy, in which consumers enjoy more product choices. Such diversity leads to higher competition among companies, which in turn forces businesses to opt for competitive prices and higher quality in order to survive in the long run. Job creation is another benefit of buying locally, as there would be more roles to be filled in for the procurement and sale of the products. The rise in the employment rate, and the community’s wage means higher purchasing power, and the ability to afford more products, even at premium prices. Based on the data gathered by LOCO BC, every 1% increase in local spending creates 3,100 more jobs while equals to $94 Million raise in local wages. To support local businesses, LOCO BC was founded with a mission to shift consumer purchasing habits towards more local products, to help the provincial economy flourishes. LOCO BC provides promotional and networking opportunities for its members to ensure that they are the best businesses for their community, employees and planet. We will be there. Thanks for letting us know. ← How Can Bloggers Benefit from Sidebuy? Join our network of Brands and top-tier Influencers! For Brands | Micro & Macro: what are they and which is better? For Brands | How and where to spot the right influencers?